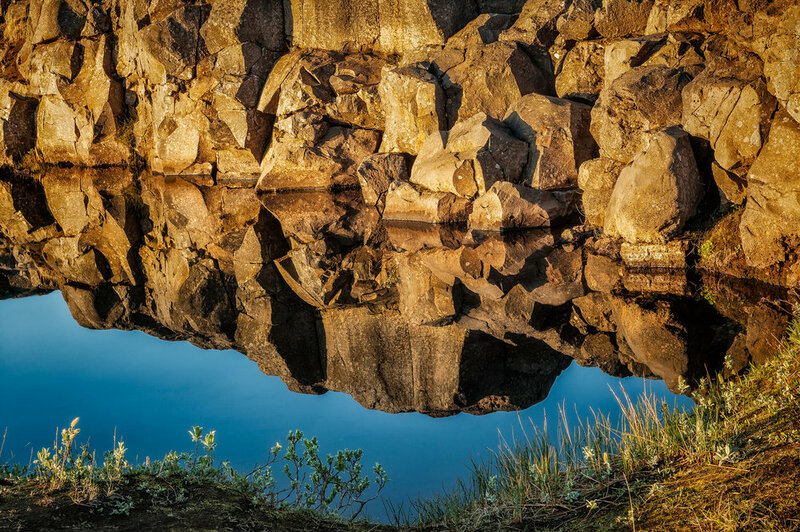 I found this beautiful reflection, in a very still pool of water, on a walk in rural Iceland. The golden colors of the rocks, illuminatd by early morning light, contrasted wonderfully with the blue of the water to illustrate the mystery and magic you'll experience when you travel to Iceland. I photographed this beautiful scene, showcasing a reflection in a pool of water, while tracking back to the car after an all night photography session in rural Iceland. Made with the aid of warm, early morning light I was fortunate that the absence of wind provided such a clear reflection on the surface of the water. The shapes and textures of this scene would lend themselves well to rendering into black and white. However, it was the contrasting colors of the golden rocks and cool blue water that drew my attention. Staying faithful to that vision meant that the final image just had to be in color. Reflections are, by their very nature, mysterious. It’s as though they exist as a kind of bridge between the seemingly opposite worlds of reality and abstraction. A series of well preserved, grass topped traditional farm buildings in southern Iceland. The light was silver grey and the approaching storm helped abstract the scene from the now and transport it back in time. I do not believe that abstraction is, by definition, illusion. Rather it is the realm of the sublime where transcendence occurs. And the experience of photography, like all art, provides us with a window into that realm. If ever there was a country for landscape photography it’s Iceland. Pure, pristine and largely untainted Iceland is a land of waterfalls, picturesque countryside and stunning light. An epic world where trolls reside along with the myths and sagas of the Vikings who settled this enchanted realm. If you love landscape photography, and you’re interested in an adventure into the sublime, then Iceland may be the perfect place for your next big journey. 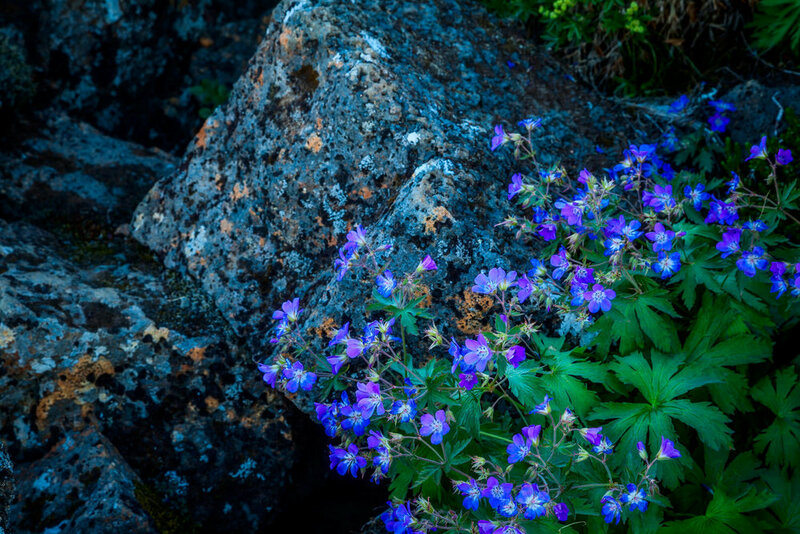 Colorful wildflowers growing alongside volcanic rock at Thingvellir in Southern Iceland on a lovely summer day. If you’re looking for things to do in Iceland in summer the best advice I can give you is to take every opportunity you can to walk in the air and in the light. Surely, there can be few more profound experiences than communing with nature in this wondrous country. Make photos, from the heart, that explore your own personal experience as you journey around this amazing island nation and your Iceland vacation can only be enhanced. Magic and mystery. You’ll find it when you journey to Iceland.